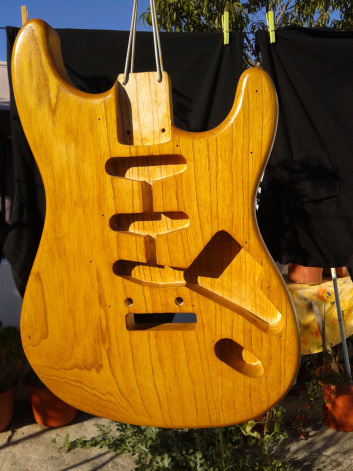 I always like to process off projecting something and building it, i build my current PC’s, i also build some furniture in order to manage have my room organized, is small and the PC’s, guitars, amps all take space. So in order to have every thing organized i had to make the furniture taking in account the room size and stuff it has. 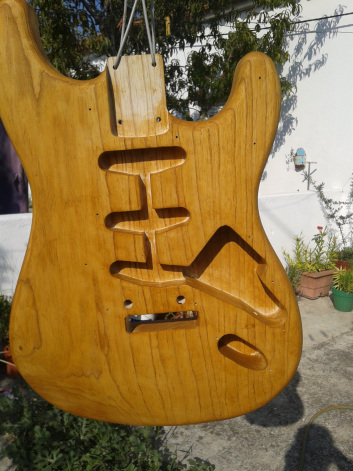 My plan is to build a Swamp Ash Stratocaster style guitar with Seymour Duncan STK-S7 in the bridge and Neck and a Seymour Dancan STK-S4, basically a vintage stratocaster sound but without the single coils humming. 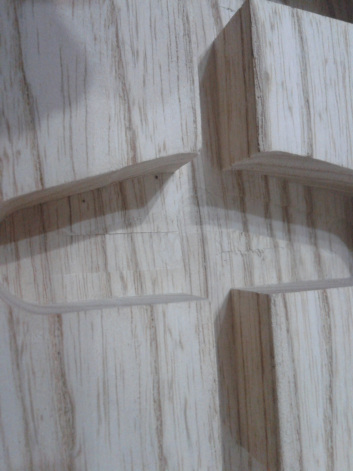 The body has several tool marks that i tried to sand off, but some marks remained in the body and only visible when light is pointed directly at it. 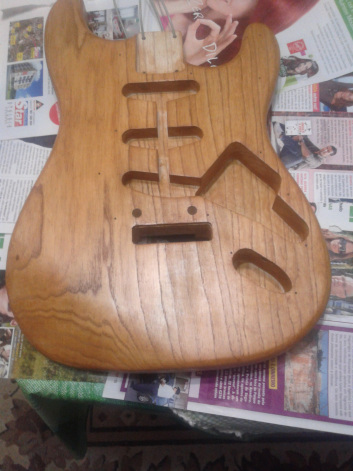 The marks where a lot visible but there where some that did not show up a lot but after 1st coat wudtone Amber coat they became a bit visible, i should have sanded the body with a higher grit sand paper but i sicked to what was recommend for use with the wudtone product. 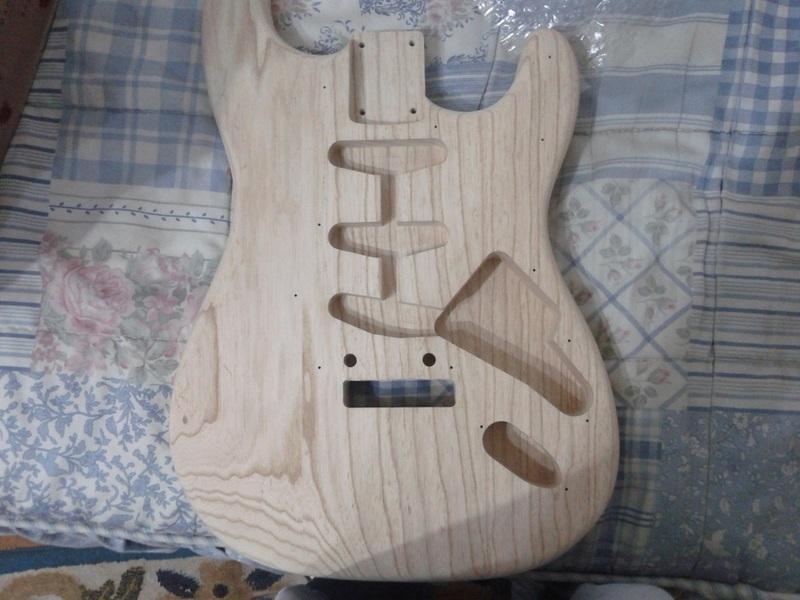 Now need to wait around 1 week before adding any hardware to the body, also need to wait for parts.